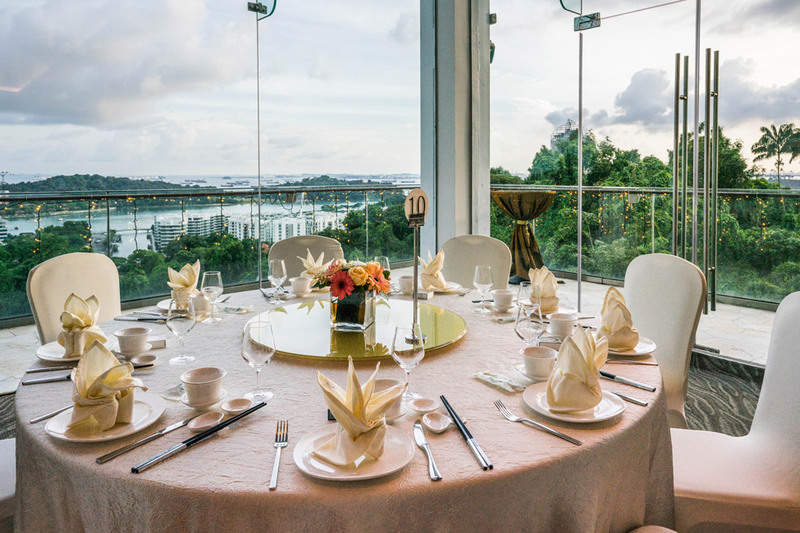 Nestled lovingly in the surrounding greenery of Mount Faber with invigorating views of the harbour, Sentosa and the city, Faber Peak Singapore is the choice setting for a unique hilltop wedding. The glass-clad Private Dining Room is an exclusive and intimate space that offers glorious views and elegant long tables. 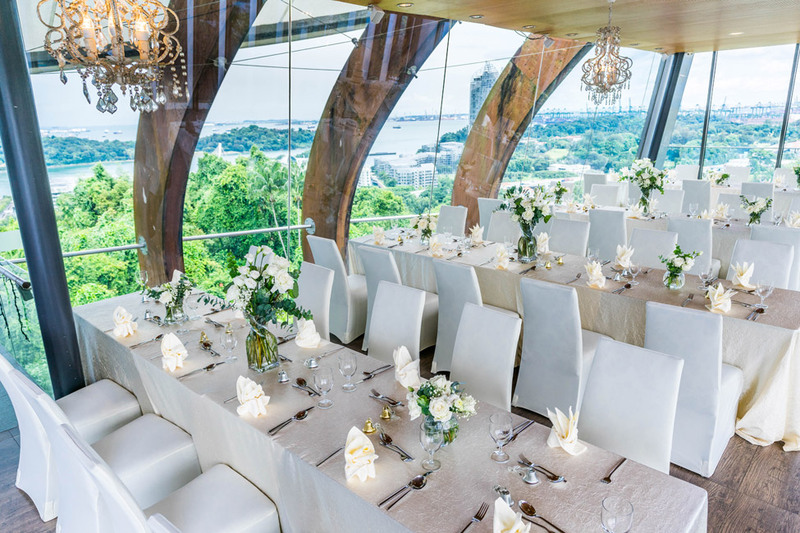 For large weddings up to 200 guests, The Ballroom features floor-to-ceiling glass windows that treat guests to panoramic views of the cable car line and picturesque harbour. The Garden at Spuds & Aprons is also beautiful alfresco option for solemnisation. Whether you want a grand, fairy tale or fun and whimsical wedding, you can dress your wedding according to theme, and choose your table linens, fresh floral arrangements, chairs (tiffany chairs are available) and wedding favours! Our exclusive wedding themes are so unique that they are sure to inspire many beautiful Instagram posts of your wedding! 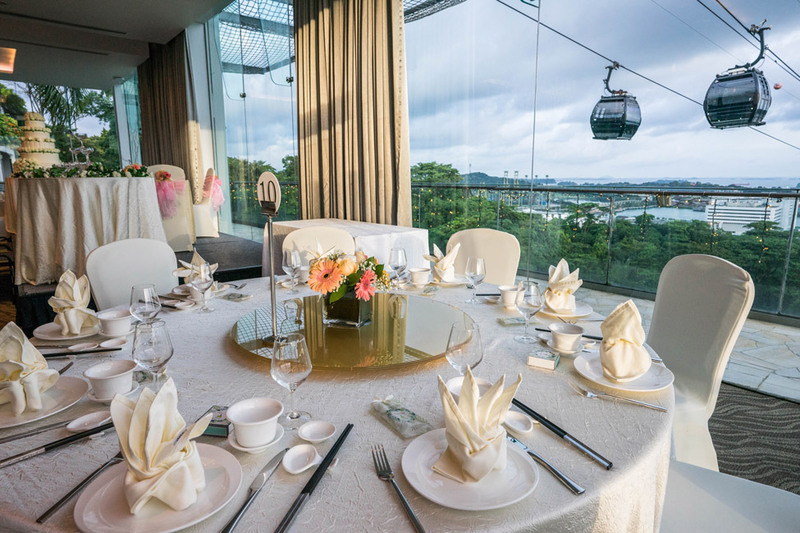 For a wedding that is truly unforgettable, make your grand entrance via the Singapore Cable Car as your guests cheer from the veranda of The Ballroom, or walk down the elegant spiral staircase to The Garden. Then commemorate your love by ringing the century-old Bell of Happiness as a symbol of everlasting bliss! 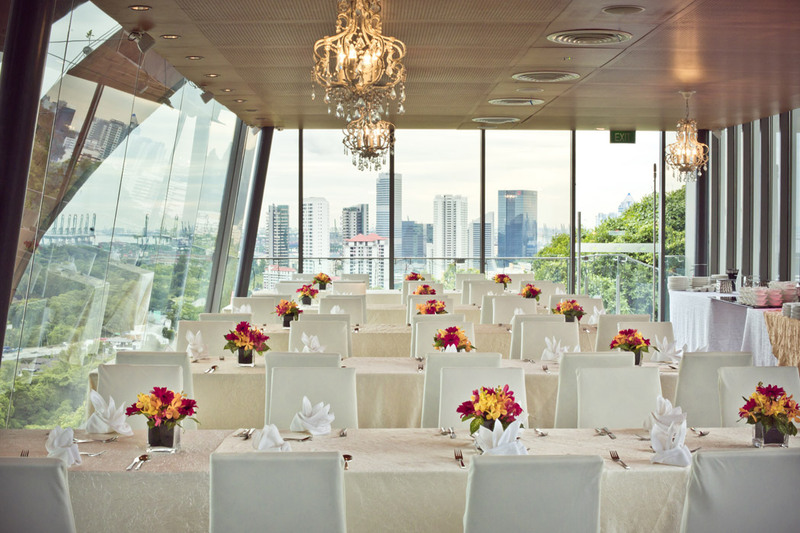 At the highest point of Faber Peak Singapore and nestled amongst the canopy with stunning vistas of the harbour and Sentosa island, the Private Dining Room offers exclusivity for your wedding celebration. 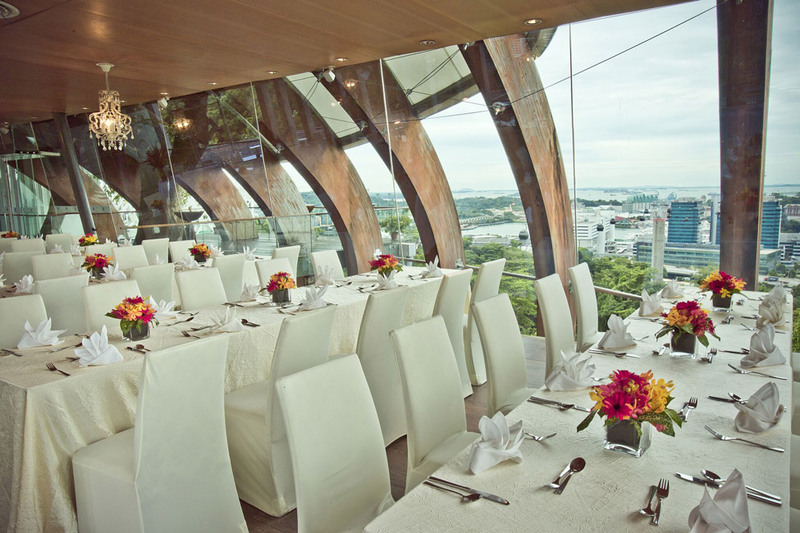 Be enthralled by the spectacular views of Singapore’s Harbour from The Ballroom. Natural light flows in through the floor-to-ceiling glass panels and a verandah outside The Ballroom, making it perfect for guests to enjoy the cool sea breeze and get high on happiness. An al fresco dining area of magnificent architecture overlooking the luxuriant greeneries at Mount Faber, Sentosa-HarbourFront precinct and the running cable car line from the top of the hill.